Becoming a Healthy Team Leader: Team health always begins with personal health, and any discussion about team leadership must begin with self-leadership. 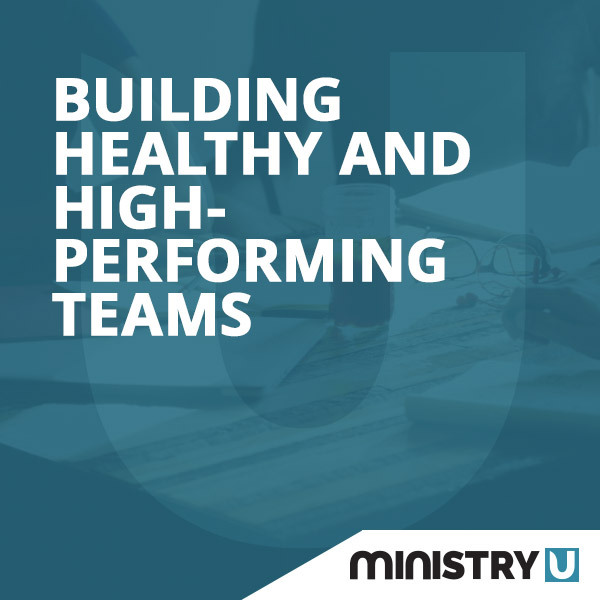 In this lesson, we’ll give you a blueprint for personal stewardship to get you on the right track to building and leading a healthy team. Getting the Right People on the Bus: Every time your church loses a volunteer, key leader, or staff member, there are significant costs. In lesson 2, you’ll learn how to find and keep the right people, and align them with the right role. Managing a High Performing Team: There’s a lot of talk about good leadership out there, but we can’t neglect good management. In fact, your team’s health and effectiveness are directly connected to your ability to skillfully manage those you’ve been called to lead. Get the essentials you need to manage well in lesson three. Engaging in Courageous Conversations: In lesson 4, you’ll learn about the greatest danger to authentic community and ministry momentum in your church—terminal niceness. Get a guide for having difficult, but necessary, conversations that accompany effective leadership. Creating a Healthy Team Culture: Want people to line up outside your door to volunteer or work on your staff? Great team culture can make that a reality. But, great team culture doesn’t happen on accident. You have to be intentional, and you’ll learn how in session six.